7 *Genius* Ways To Help You Look Stunning In Your Wedding Pictures! Your big day is coming near and you’re worried about how to put your best foot forward for the wedding album. You know the truth: Some people are naturally photogenic, but for others *quietly raises hand* it takes a bit more effort. So, if your life has been a series of “Oh, you look so pretty in that outfit, but I wonder why your picture doesn’t do justice to it,” then you’re going to need some help on this front. Fret not, there are simple things you can do to look your best in your wedding photos. On your D-Day, just remember these insider tips and your photographs will capture all the memories beautifully. It’s not just you. A lot of people tend to turn into Chandler (Friends fame) in front of the camera, and that just completely screws their photographs. Smile wide (but not awkwardly) for your wedding pictures. It’s the most special day of your life, let the happiness show! Who said you shouldn’t pose for your wedding pictures? We agree that candid photos are great and make your wedding album look natural, but having a few pictures with some creative poses is a good idea, too. Avoid clichés (like standing by the flowers or twirling under a canopy) and come up with something more unique that brings out your personality the best. Also, it is a great idea to practice them in front of a mirror, just so you’re prepared to roll. 4. Always keep your heels and head high, missy! There is nothing appealing about a gorgeous bride with drooping shoulders. We know the weight of your outfit might be too much to bear at times, but hey, make sure that your shoulders are squared while clicking wedding pictures. 5. Left profile or right profile? Like it’s important to know the poses that work well for you, it’s also crucial to know which profile works better for you. Don’t know your better profile? Well, just click a selfie and see which one looks prettier. Simple! 6. Quirky, candid shots are always the best ones! We just told you that some posey photos are a must in the wedding album, but nothing beats the gorgeousness of a natural and candid shot. Be yourself, but not too much (just kidding!) Don’t be conscious of somebody clicking your photo, and you’ll do great. Yes, people don’t really consider this, but it’s quite essential to make a photo look good. 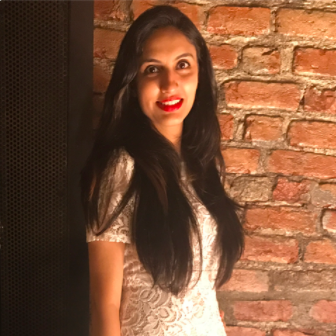 Your wedding is an event where you move around a lot, which could leave wrinkles on your lehenga or might make your jewellery look a bit out of place. 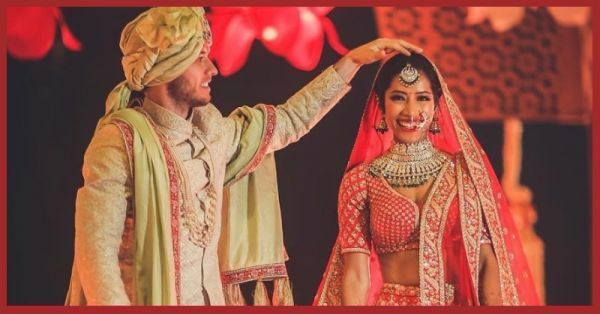 Always make sure to check everything—right from the dupatta to the maangtika and make sure those stray hair strands are in place before you start clicking. We hope these easy breezy tips help you get some amazing shots at your wedding!